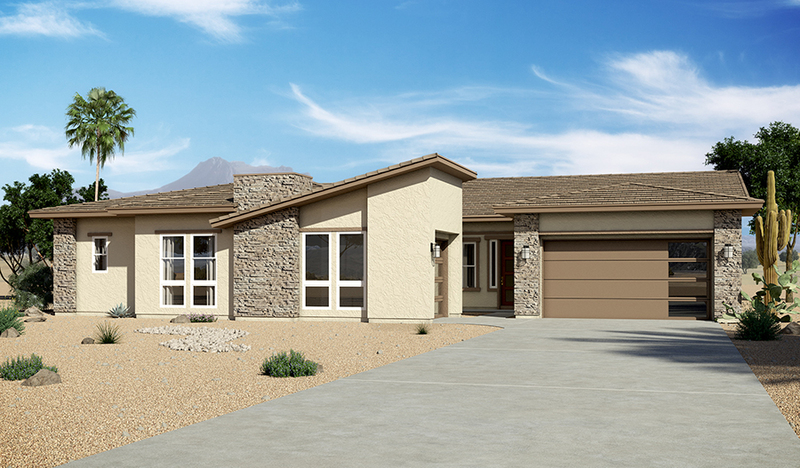 This ranch-style new home greets guests with front- and side-entry garages and a charming courtyard entry. Inside, you’ll find a study, a formal dining room, a spacious great room with multi-slide doors overlooking a covered patio and a gourmet kitchen featuring 42" linen-colored maple cabinets, quartz countertops, a center island and a walk-in pantry. The elegant master suite boasts a tray ceiling,walk-in closet and attached bath with rain shower, and three additional bedrooms provide ample space for rest and relaxation. Includes a laundry with built-in cabinets, two-tone gray paint and 6" x 26" staggered tile flooring!